I would like to write a paper for the SIA about the Nitt Mine. I have not started yet but we had a good time touring the site a few weeks ago. One of the coolest items on site was the boiler that powered it all. Unfortunately, I did not get to spend much time investigating it on this trip, as the sun was setting fast. The boiler was made by James Beggs & Co., located at 109 Liberty St. in New York City, NY. I will have to learn more about this compay and its boilers. 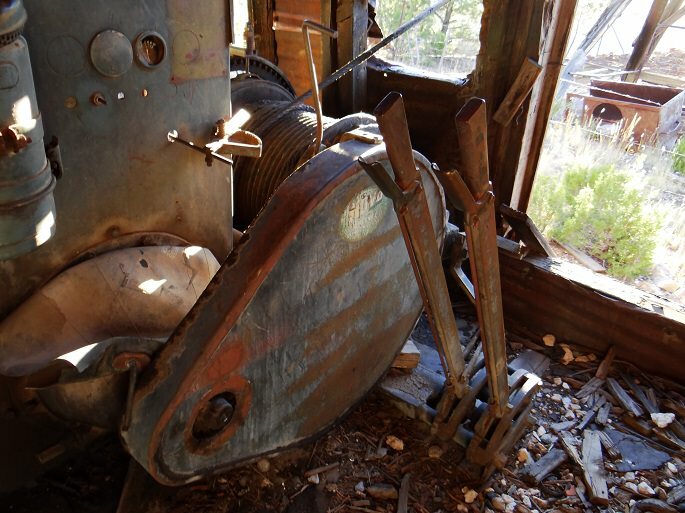 Last Sunday (10/8), we toured around the Graphic and Nitt mines near Magdalena, NM. 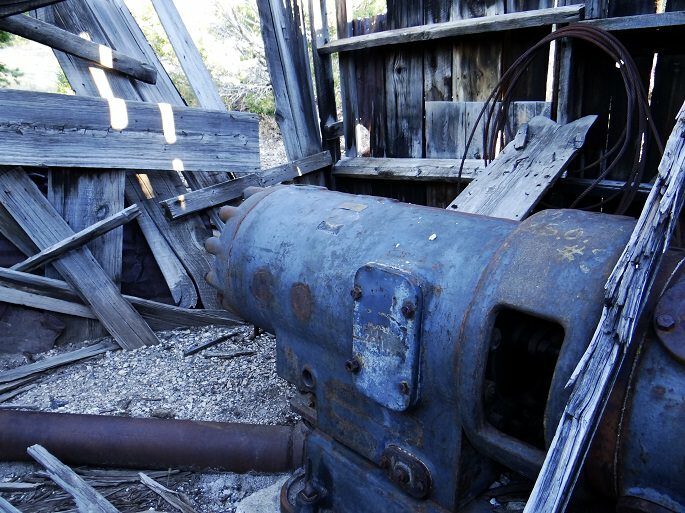 Unfortunately, we only had a few minutes to explore the Nitt Mine, which had all of the abandoned industrial equipment. Both of these mines are on private property, but a pass can be obtained for $5 a person from a local rock shop. There, you will be given a pass and a key to the two gates that block the roads along the way. Speaking of the roads, don’t try these in a low-clearance vehicle. We drove as close as we could to the Graphic Mine, but had to hike the last two hundred yards or so, as even the truck could not pass on the road. The Graphic mine was neat, in that we found many cool rocks and minerals in the dump piles. I found malachite, barite, a few nodules of Smithsonite, and sphalerite (lead-zinc ore) that was mined and processed here. We spent the bulk of the afternoon at the Graphic Mine, digging around for minerals. The fresh rain had exposed quite a few. 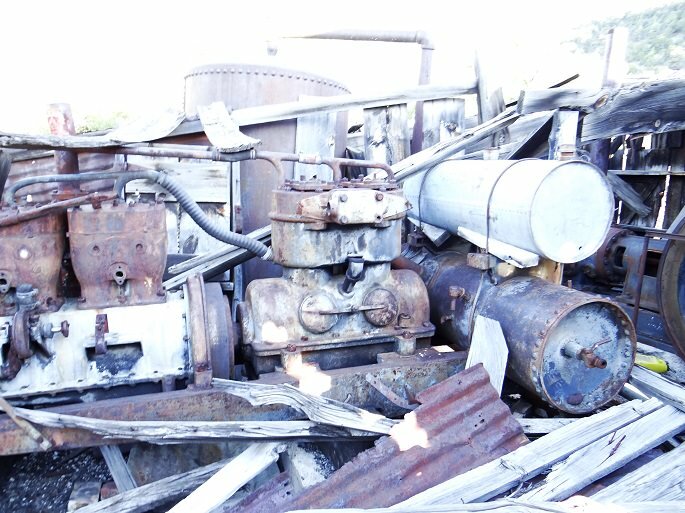 In terms of mining equipment, there was none near the dump piles, and none in sight. 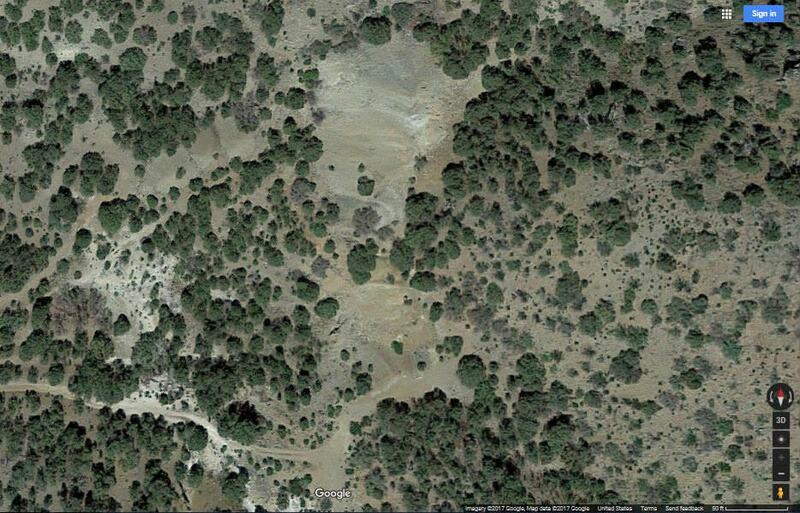 The large area devoid of trees was the steep slope of a dump pile. This is where we found many good minerals. On our way out, we decided to take a few minutes and explore the Nitt mine, as it was on the way down the hill back to the main road. 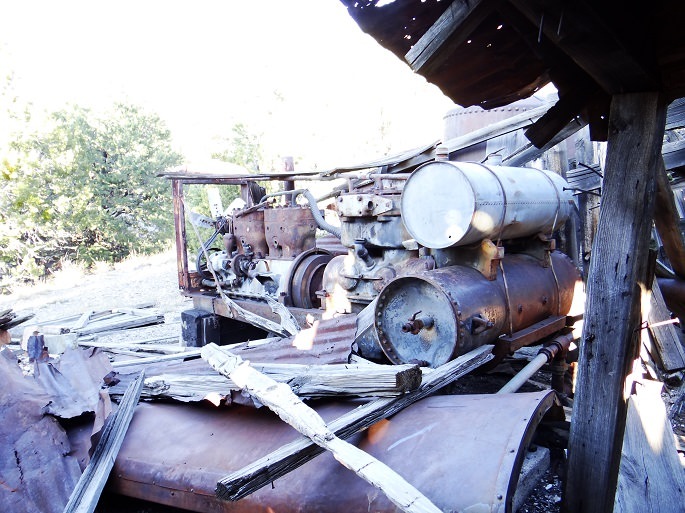 We knew there was some pyrite there, but were impressed with the old mining equipment and buildings that were still in place. 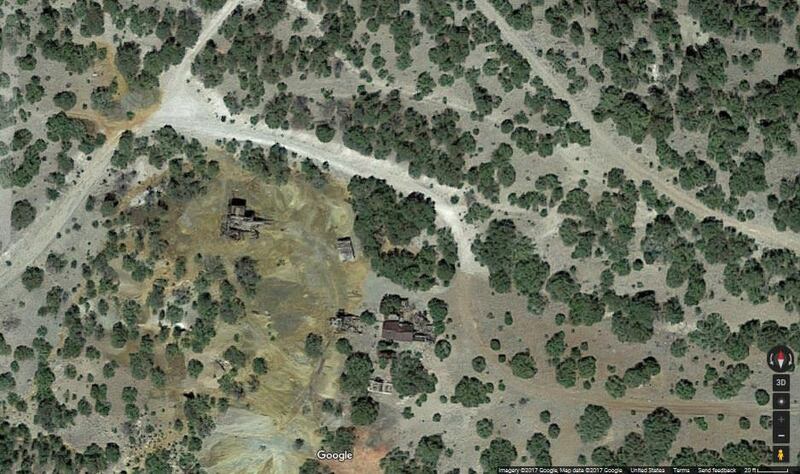 The Google Satellite image shows that the entire area is yellow, due to the pyrite that is all over the ground. It even smells like sulfur at this site. 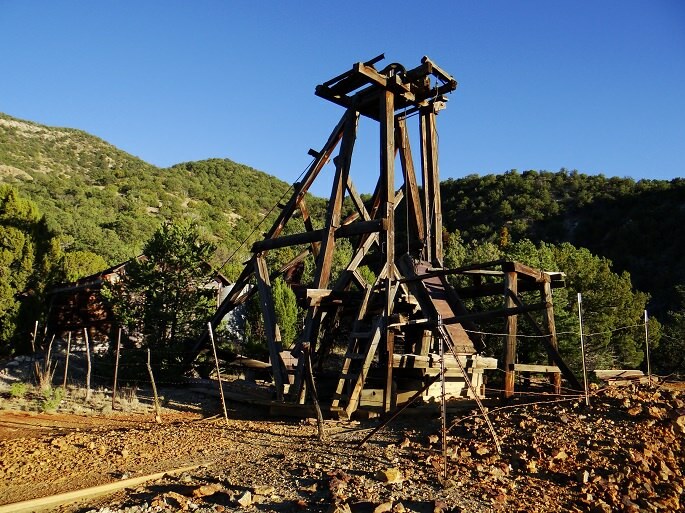 First, the headframe is still intact. It is not as large as the ones for the Waldo or the Kelly mines, which were also in the area, but it was still neat to see. 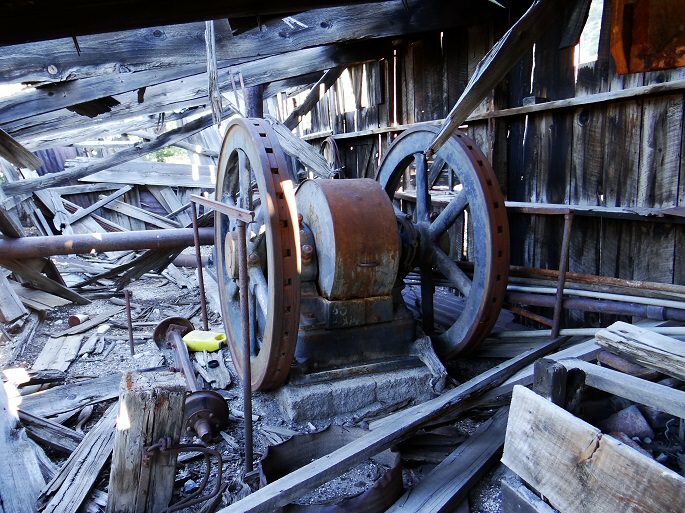 Near the headframe was the motorhouse, where motors raised and lowered a cable into the shaft. Scattered about the motorhouse were several power systems, which I am referring to as Motors #1-#5. Motors #1 and #5 were outside of the motorhouse, and Motors #2-4 were inside. 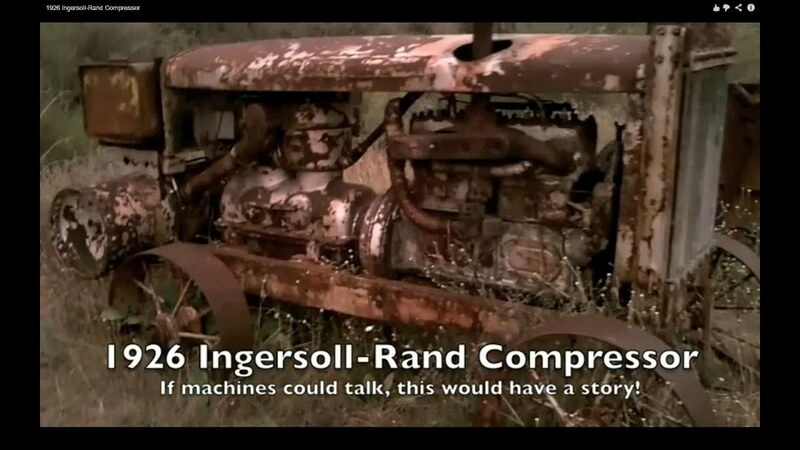 Motor #1 was an Ingersoll-Rand motor that was, at one time, portable, though the wheels had been removed from it. Motor #2 was large enough that it did not fit in one picture. On the output side of Motor #2, there was a cover over the center part of this drive shaft. I pulled open the cover and saw the two counterweights, one for each side, set to turn at opposite times from each other. I did not get a picture of the counterweights, but you can see the handle and cover in this photo. Motor #3 and #4 are shown here. Likely, some of these things were driven in unison, though Motor #4 is considerably newer than the others, and was likely placed at a much later date. It was also placed directly in front of the steam driven motors, and probably ran on a petroleum product of some kind. The hoist and hoist controls were still in place, and the steel cable was still under tension. I was able to move one of these levers, but not the other. I’m sure these have been jammed into place by folks pushing and pulling on them over the last 50 years. Motor #5 was similar, if not identical to Motor #1, though its wheels were still in place. You can see the dry-rotted rubber tires in this photo. 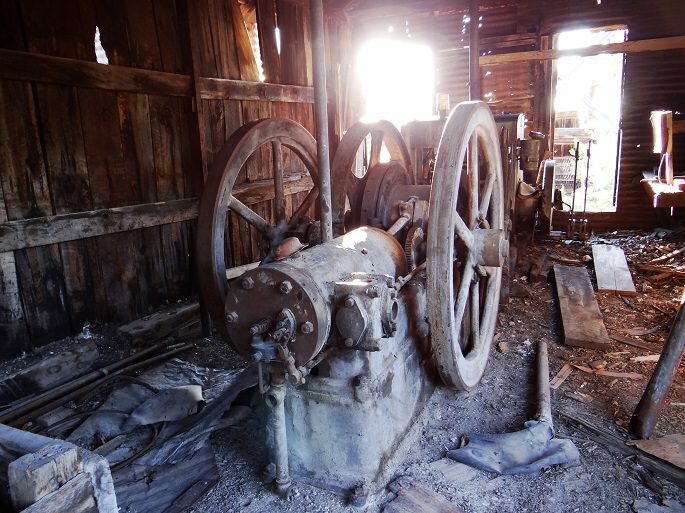 A brief conversation with the land owner, as well as a few Google image searches has led me to believe Motor #1 and #5 are actually steam-powered air compressors. I would believe this, based on the pressure vessels stuck to one end of these devices. 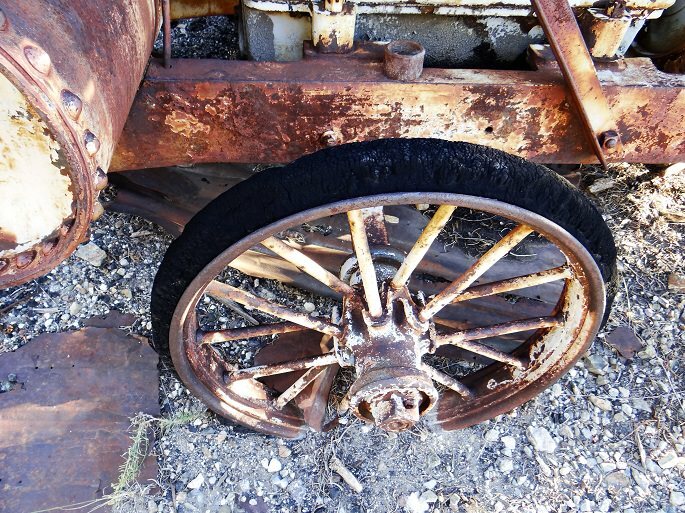 Another one of these is found at the website: shown here, though #5 has rubber tires instead of steel wheels. Otherwise, they are similar. We will go back to this site and do some more exploring and photography, as there is plenty to see. Last weekend, we took a truck-camping trip to central New Mexico (1.5 hrs south) and did some exploring around the Waldo and Kelly Mines near Magdalena. 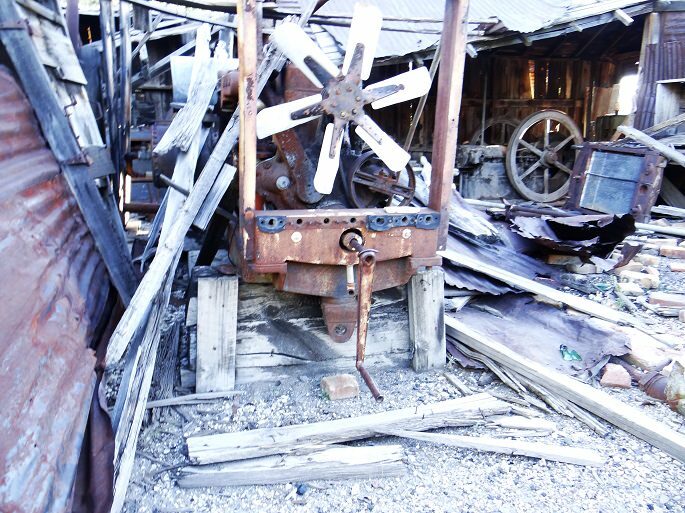 Our first stop was the Waldo Mine, which was used into the 1950’s. 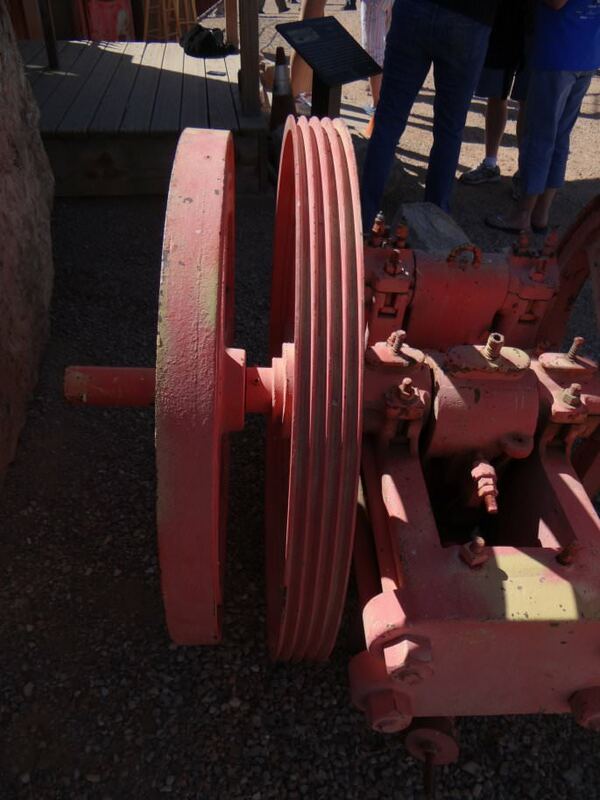 It featured an aerial tram for moving ore down to the mill. 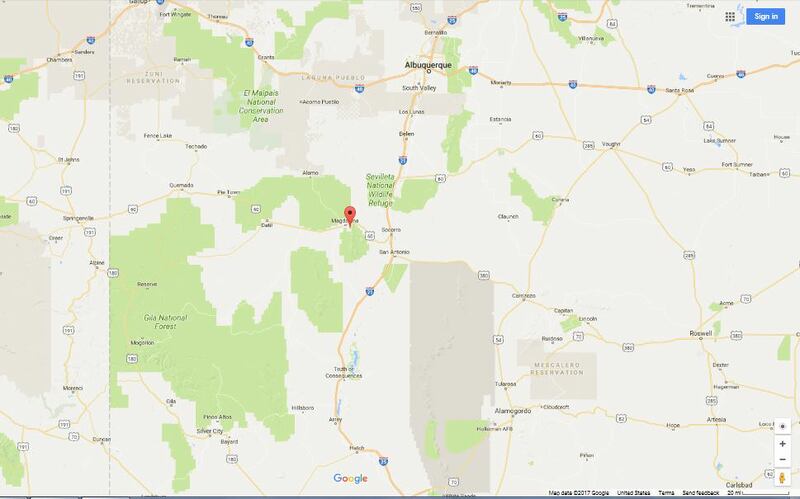 After this mine closed, New Mexico Tech leased it for $1 a year and would use it in their mineral (mining) engineering classes. In fact, there is a building on site that has a classroom inside. 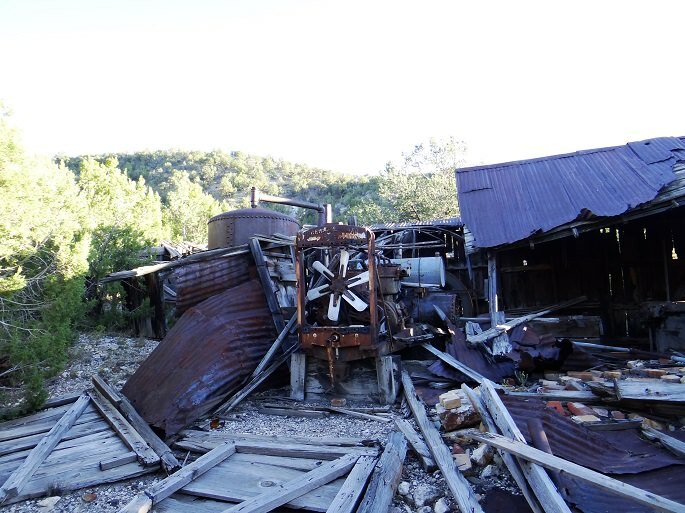 At the Waldo Mine, there remains a tunnel entrance (that is restricted), a headframe, a core sample storage area, and two buildings likely build for educational purposes. There are likely footings for the tram, but we ran out of time to look for those. I have not moved the photos from my camera, so I will post photos another time. I am in the process of writing a newsletter article for the Society for Industrial Archeology (SIA), so stay tuned! I have quite a few activities on the horizon, and will keep you abreast of what I learn at each event. As it stands right now, I will go to several events here at the end of July and one in September. Next weekend, I will go on a field trip with some rock collectors from Durango, CO. While this is not explicitly an industrial archeology trip, interesting rocks and mining are so intertwined in this area, that I’m sure there will be something to see. As soon as I am done with the field trip, I will drive east to Decatur, IL. On July 25-27, I will attend a chemical process safety workshop, hosted by ADM. I’m sure there will be a lot to talk about there as well. In September, I am planning on attending the Society for Industrial Archeology (SIA) Fall Tour in Nashville, TN. I’ll have more details on that trip as September approaches. Thank you for reading my post, and stay tuned, as I have been inspired to become more active in industrial archeology in the weeks to come. This week has been slow around campus, as it has been spring break. Things will pick up soon, however, as I have a busy week scheduled next week. Sometime soon, the metal casting club (What The Foundry) will be building charcoal furnaces. I believe we have all of the supplies and construction will begin on Thursday. We are still planning on a field trip to a local concete plant. It has been delayed several times but will happen soon. I will post about it when it happens. 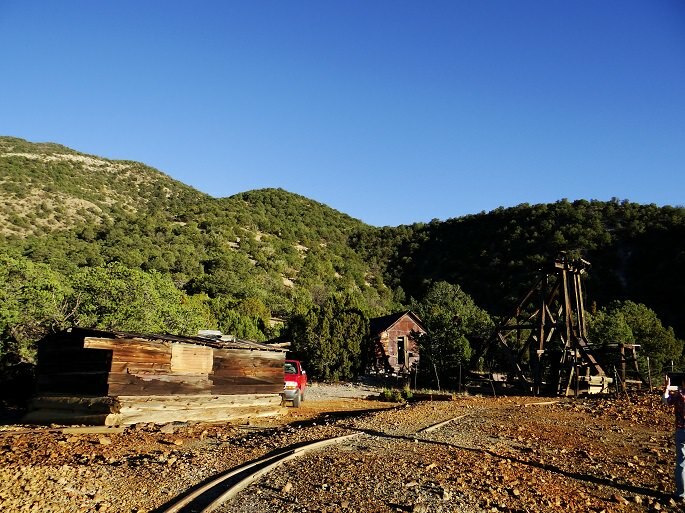 Back in 2012, we took a trip to Tombstone, AZ, and toured the Good Enough Mine. 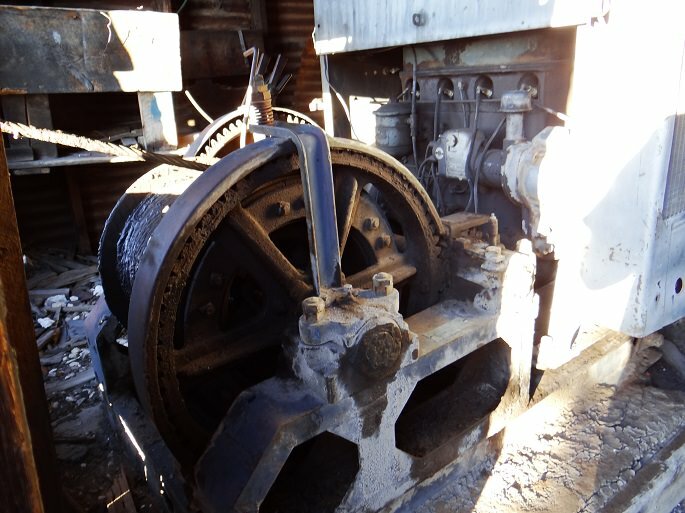 I will write several blog posts on this trip, but today’s post is about some equipment found near the Good Enough Mine. 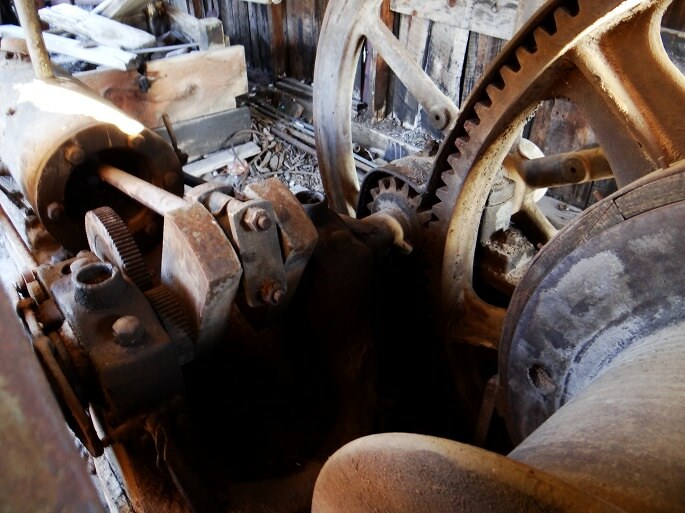 Here, we have a belt driven wheel. 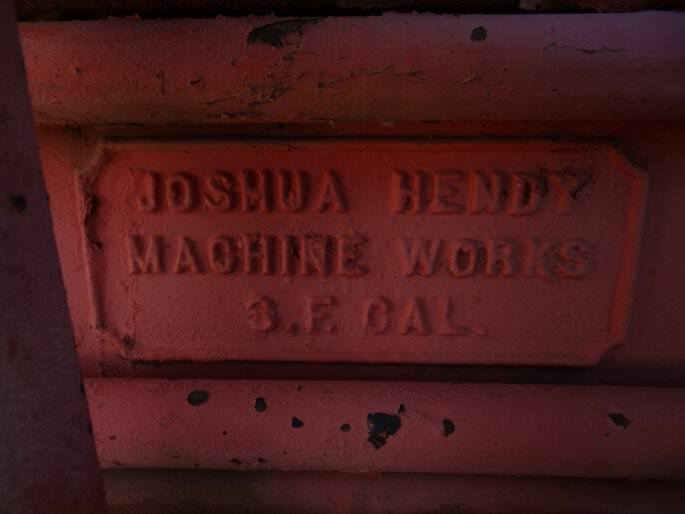 Apparently, the Joshua Hendy Machine Works was a big name by the 1880’s. 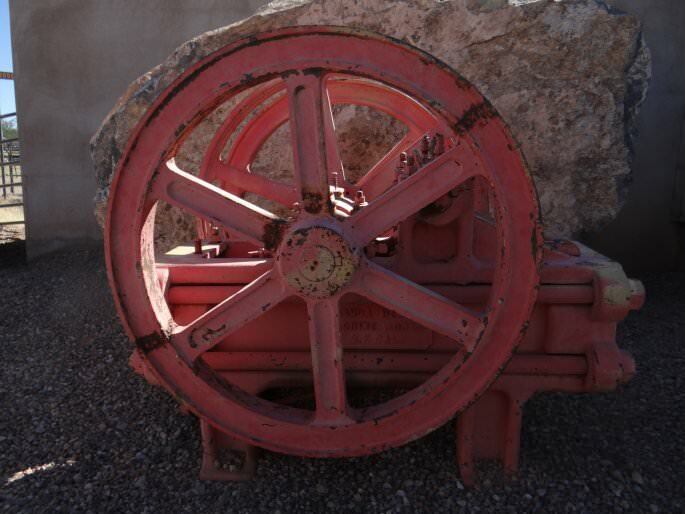 They specialized in mining equipment, particularly rock crushers, so perhaps this piece was part of a stamp or ball mill of some sort. Their equipment was used in the regrading of Seattle, the building of the Panama Canal, and the construction of the Hoover Dam. The Panama Canal bit was neat, because Joshua Hendy once sailed around Cape Horn to get to San Francisco; his inventions would soon make travel from one ocean to the next easier and safer. My source is, of course, Wikipedia, and all of the links that I wanted to click on from there are broken. I finished reading Yellowcake Towns by Michael A. Amundson. The book covered several important uranium mine and mill towns, including Uravan, CO; Moab, UT; Grants, NM, and Jeffrey City, WY. The book remained objective; it reported facts about each town, rather than spending time on a political soapbox about uranium, mining or company stores. It painted a clear picture of what life was like in each of these towns during their booms and busts. It told two different tales- one of cities that grew and adapted to changing economies (Moab, Grants) and ones that didn’t (Uravan and Jeffrey City). It also spoke of how the government had a large hand in how mines and mills were controlled and regulated, and the impact of uranium prices as set by the government. Overall, I was impressed with the depth of research in this book. Each chapter had quite a few sources, as well as tales and quotes by residents in each town. Thank you for reading my book review.